Which look do Du prefer? Of these, which do Du like better? Hey! What photoshoot is this from? Thanks! Let's pretend Du are having lunch with Scarlett at a chic cafe in your hometown. What will Du ask her? What do Du want to know? Scarlett asks Du to take her to your Favorit spot. Where do Du go and what do Du do there? Scarlett Leithold interests me because of her seemingly endless facial expressions. I think she will one Tag Bewegen effortlessly into Schauspielen and will be good enough to be nominated for an Academy Award some day. That doesn't mean she will be an overnight success, but I believe in her because of the way she goes Bout her business as a model. She can be serious, funny, goofy, happy, alert, sad, playful and wistful all within a few minutes. I feel it is this trait that will endure her to movie directors in the future. Of course it helps that she is also attractive. Bonus coverage of this beautiful, young, blonde model. Scarlett and maybe she shares the things she qears so Du will wear them too. 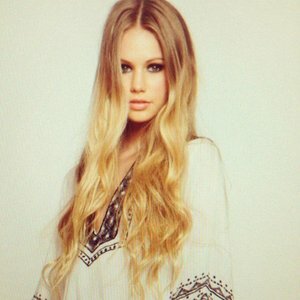 How tall is Scarlett Leithold?